Purchasing a property and renting it out to tenants can provide a healthy income stream to willing investors for a very long time. But no matter what kind of property you purchase – commercial or residential, single-family or multi-unit – hassles and headaches are inevitable. Lots of patience and hard work go into finding the right tenants, maintaining the property, and acting responsibly as a landlord. Unless owning and managing rental properties is a full-time job for you, or you want it to be, consider a property management firm to streamline your landlord duties. But before you sign with one, be sure to fully consider the pros and cons of managing your own property versus delegating tasks to a dedicated management firm. The responsibilities that come along with property management include screening the credit histories and backgrounds of applicants, drawing up leases and processing rent payments, maintaining tax and legal records, and dealing with maintenance issues and complaints that crop up. Depending on the size of your property, these tasks alone can constitute more than a full-time job. Every landlord has to decide whether the tasks required of property management are better suited to a dedicated firm or handled first-hand. The first thing to consider is whether you have the time and expertise to manage your own property. Are you comfortable doing basic handyman tasks (or do you know someone dependable who is)? Do you know a reliable electrician and plumber who offer same-day service? Do you mind being on call 24/7 to handle issues that inevitably arise? Are you comfortable confronting tenants over complaints or late payments? Or would you rather spend the money to free up your time by delegating these and other responsibilities? 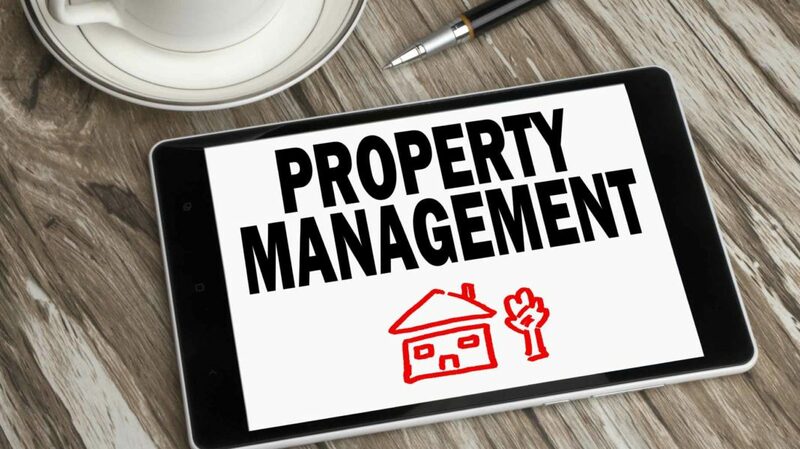 While hiring a property management firm can eliminate after-hours phone calls and mitigate day-to-day hassles, nothing ever fully relieves you of management responsibilities as long as you own the property. Some maintenance issues (such as determining whether to repair an old dishwasher or replace it with a new one) are sure to require you to assess the situation and determine how to proceed. Additionally, certain tenant problems (such as eviction) will need your attention. If you’re looking for a firm to take every single worry off your shoulders, you’re going to be disappointed – but if you want assistance lightening the load, a good property management firm provides a range of valuable services. A big part of what any property management firm (or hands-on landlord) does is deal with tenants on a day-to-day basis. Responsibilities include advertising open units, interviewing and screening prospective tenants, drawing up leases, handling move-ins and move-outs, dealing with complaints, collecting rent, handling late payments and, in the worst scenarios, managing evictions. Property management firms should have a familiarity with legal aspects of the landlord/tenant relationship – and that includes understanding the rights of each party and how to proceed legally in the event of a problem. 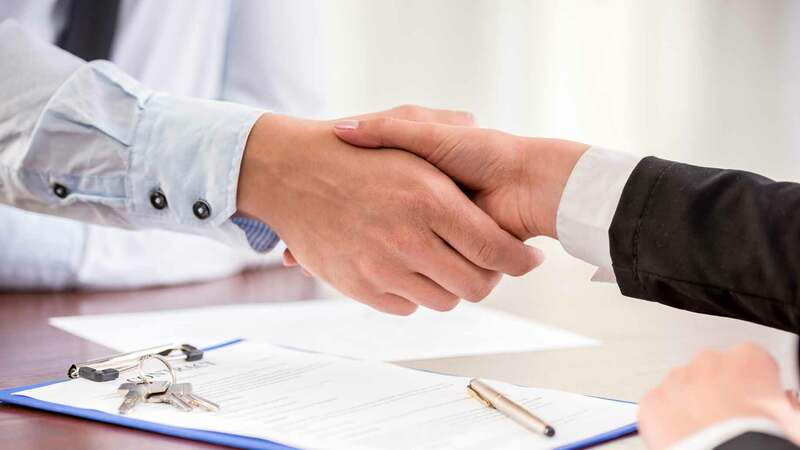 For some, one of the best aspects of hiring a property management firm is that it handles a good deal of the necessary paperwork. A firm can relieve you of finding and screening tenants, checking credit reports, conducting background checks, drawing up lease agreements, and billing and accounting for monthly rent. Also, if you offer subsidized housing, you know that a fair amount of additional paperwork is required to be maintained. If you only have one or two rental properties with long-term tenants, dealing with paperwork shouldn’t take more than a few hours each month, nor should it occupy more than one drawer of a filing cabinet. However, if you own an entire building with a high turnover rate, that volume and time commitment can add up quickly. Of course, even with the help of a management firm, you’re still responsible for maintaining a record of documents relating to taxes, insurance, and mortgage bills – not to mention receipts from the property management firm itself. However, the reduction of paperwork can be worth the fees charged. If your building has a new roof and a new water heater, it’s a reasonable assumption that you won’t be called upon for repairs as frequently as you would for an older property with older features. If the roof and plumbing are old, the baseboards are peeling, and the physical structure of the unit has seen better days, you could face frequent calls and expensive repair bills. As a landlord, you don’t just own a house or building – you also likely own the land it’s sitting on. In addition to the repair and maintenance of buildings and individual units, you need to devote some resources to making sure the land is attractive and well-maintained. That can mean planting and keeping flowerbeds, repairing pathways, mowing lawns, and installing grass sprinkler systems, among other duties. You may authorize the management company to handle repairs under a certain dollar amount at its discretion, but you’ll still need to authorized bigger, costlier repairs. Your decision as to whether to hire a management firm hinges on just how involved you want to be, and how immediately available you want to make yourself to your tenants. While cost is a primary concern in contracting with a firm to manage your property, it’s not the only thing to consider. Although prices vary from firm to firm and depend largely on the area of the country you’re in, you can expect to pay a residential property management firm anywhere from 8% to 12% of the monthly rental rate, according to All Property Management. However, ManageMyProperty.com puts that figure at 4% to 12% “based on the number of properties you need managed, the number of units in each property, the location and condition of the property, and most importantly, what services are included for that fee.” It also cites property type as a big determining factor. 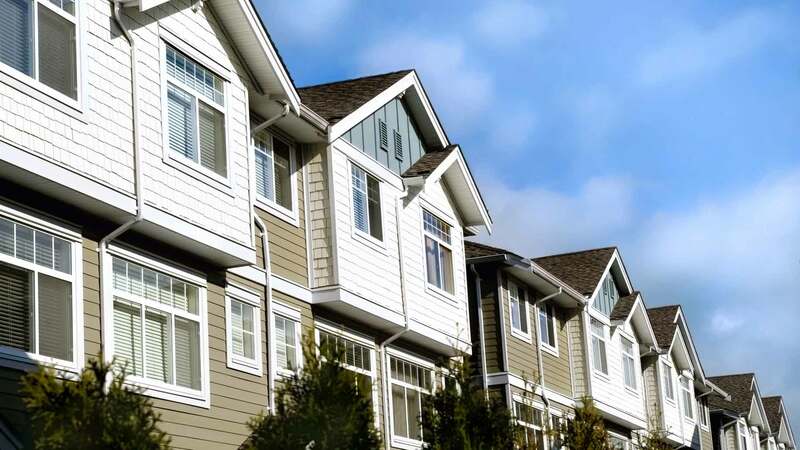 In addition, you may be charged a fee of 80% to 100% of one month’s rent for “tenant procurement,” according to real estate agent Eric Lansing, commenting on Zillow. Not all pricing structures are the same. Some companies may charge a flat per-month rate – which again varies according to area, duties performed, and the total value of the rental – while others charge a percentage rate, as noted above. Price can also fluctuate depending on the size and number of properties you own. For example, if you own several apartment buildings, you may get a “bulk” discount that a person with a single home or apartment might not receive. Typically, a landlord signs an agreement with a property management firm for a certain length of time – 12 or 24 months, for example – with an option to renew. Contracts can be drawn up so that they automatically renew if neither party takes action opposing it. Termination clauses allow for early termination if the property management firm is in breach of the contract in any way. Make certain you establish exactly what maintenance services are included with your fees. It may be that when something needs repair, certain labor costs are included with your monthly flat rate or percentage charge (for example, changing out lighting switch plates and replacing faucet handles) while others are billed individually (such as replacing broken windows and installing new sinks). Regardless, everything should be clearly stated in your contract. Keep in mind that these fees may require you to increase your rental rate, which could make finding – and keeping – tenants more difficult. And remember, property management fees can be negotiable. Depending on how much you’re willing to pay, you may be able to get a lower price by sacrificing certain services and handling them on your own. If you’re turning a primary residence into a rental property, be sure to consult with your insurance provider to make sure your policy is adequate. You need landlord insurance that can cover you appropriately in the event of fire, vandalism, flood, or any other mishap. And remember that even though you’re delegating tasks to an outside company, the responsibility as owner ultimately belongs to you. In fact, contracts with property management firms typically stipulate that if lawsuits are brought based on the manager’s work, the owner pays all legal fees and any related damages. So, choose who you do business with wisely, and always keep an eye on things – no matter how removed you’d like to be. Have you considered hiring a property management company? Martin is a 22 year old personal finance writer that attempts to make money talk fun. After taking many finance courses in college he realized that this stuff is completely boring and that nobody cares about complex calculations. He started his own personal finance blog in November of 2008 and has been passionate about making matters interesting ever since then. His goal is to show you how to get the most out of life, while still saving a buck or two.